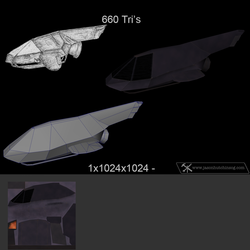 Following the style and poly count of vehicles from Fender Bender, I decided to go ahead and have fun with my first vehicle creation. 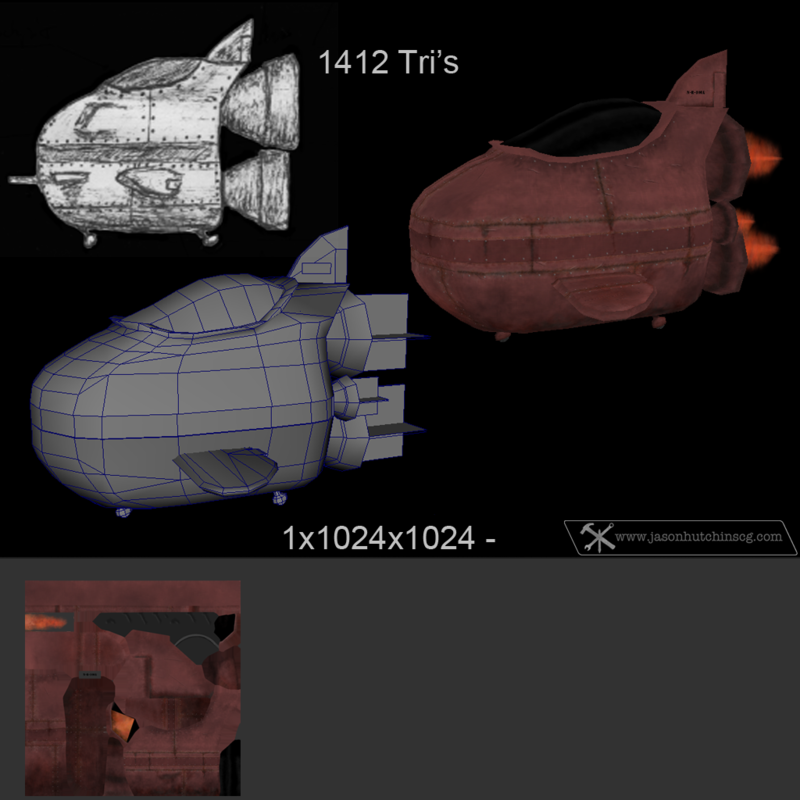 Two hours for the model, about 12 hours for the diffuse texture. Following the style and poly count of vehicles from Fender Bender, I decided to continue having fun with these insanely crazy rocket vehicles. About 4 hours to model, and 8 hours to texture. It was harder to get the hard edged surfaces and still keep the fluid vehicle in motion feeling this aircraft was intended to have. 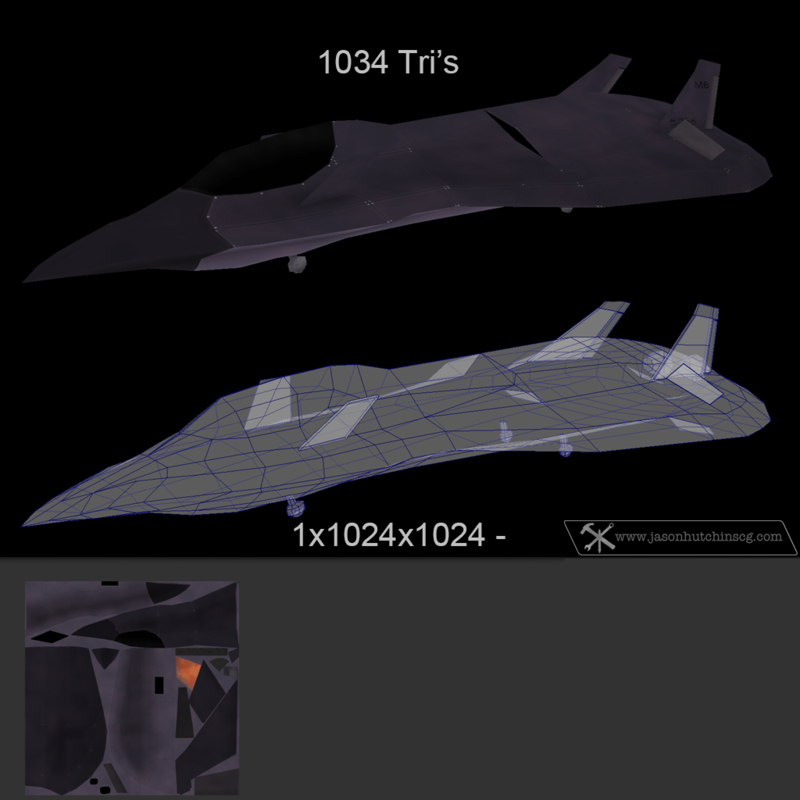 Borrowing from style themes of the F-19a and the X-47, and then passed through the filtered look of Fender Bender I created the stylized High Tech Medium Plane.